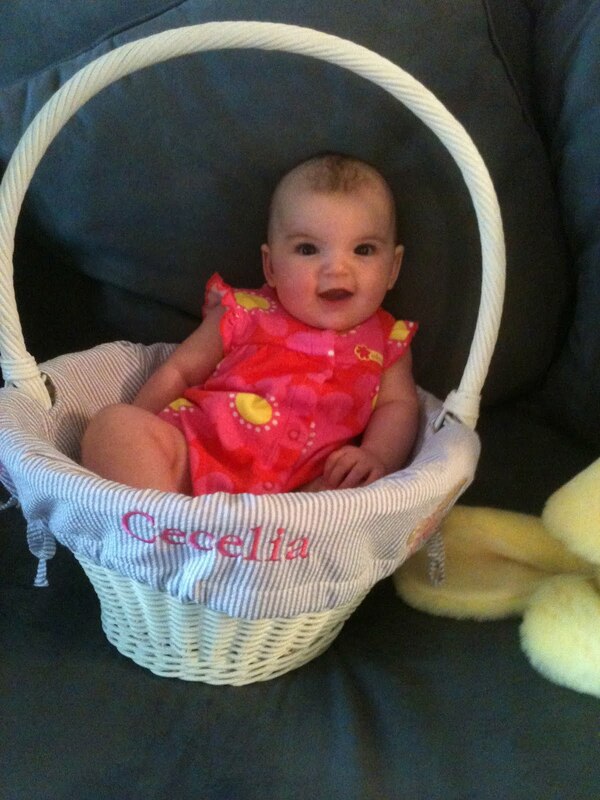 CeCe's basket is from Pottery Barn Kids, it's a little large but that's just all the more room for jelly beans and chocolate eggs. I hope everyone has an enjoyable Easter Sunday. Happy Easter! I am a new fan from Bloggy Moms.